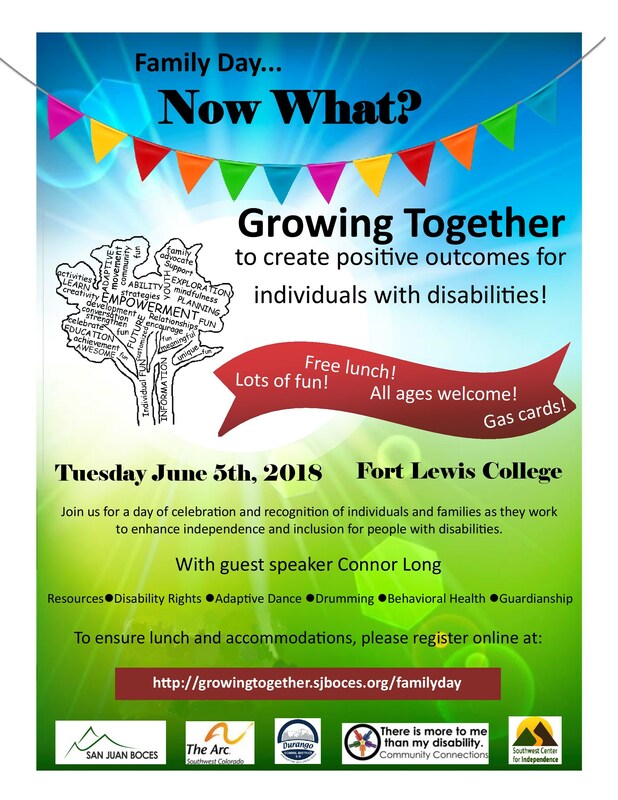 Join us on June 4-5, 2018 at Fort Lewis College. Click the title above to learn more! 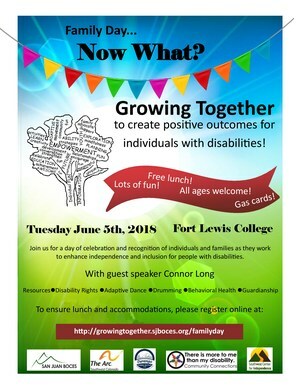 Learn more about the Growing Together Summit (June 4). Learn more about Family Day (June 5).